The top things to do in Samoa guarantee an unforgettable vacation for both honeymooners and families alike. This island nation in the South Pacific Ocean which is part of Polynesia has beautiful beaches and great landscapes thanks to the countless volcanic cones you can see all over the main islands. Samoa has a pleasant tropical climate, making it a great place escape the harsh cold winters in the southern hemisphere. O a mai oe? – How are you? Get a Samoan Tattoo. One must get a Samoan tattoo, as a way of sealing your experience in the island nation. This traditional art form is very much part of the Samoan culture. So if you can bare the pain, ask your hotel for recommendations on the best place to get a Samoan tattoo. Remember that designs for men and women are different. Samoan tattoo for men may cover half the body. Get Married. What’s more romantic than getting married in Samoa? With its beautiful beaches and great sunsets, it’s hard not to fall in love with the island nation. There are several hotels and resorts offering special packages for weddings and honeymoons. So take the chance, fall inlove and get married in Samoa. Scuba diving. It’s no surprise that scuba diving is one of the top things to do in Samoa. 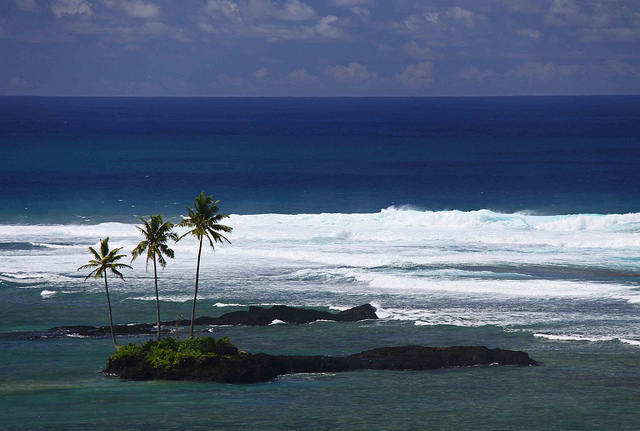 The surrounding waters are abundant in sea life and colourful coral reefs, especially in Upolu and Savai’i. with around 900 species of fish and 200 types of corals, Samoa’s waters are an underwater paradise that’s worth discovering. Sample local food. Samoan cuisines make use of ingredients which are not familiar to westerners. So it’s important that you do try out some of local delicacies when you’re in Samoa. Some of the most common dishes in Samoan cuisine are pork, fish, taro or breadfruit cooked in Umu style, or over hot stones and covered in banana leaves until cooked, and Oka, or raw fish marinated in a mixture of lemon juice, coconut cream, salt and finely chopped onions. While seeing the silverback gorillas is the main highlight in visiting Rwanda, there’s more to this African country than these gentle giants, as the top reasons to visit Rwanda prove. Officially called the Republic of Rwanda, this country flanked by Uganda, Tanzania, Burundi and the Democratic Republic of Congo has a varied landscape, ranging from mountains to savannah plains with lakes dotting the entire country. It’s the land of a thousand hills. And the country surely lives up to its name. With mountains beyond mountains beyond mountains, Rwanda is a sight to behold. 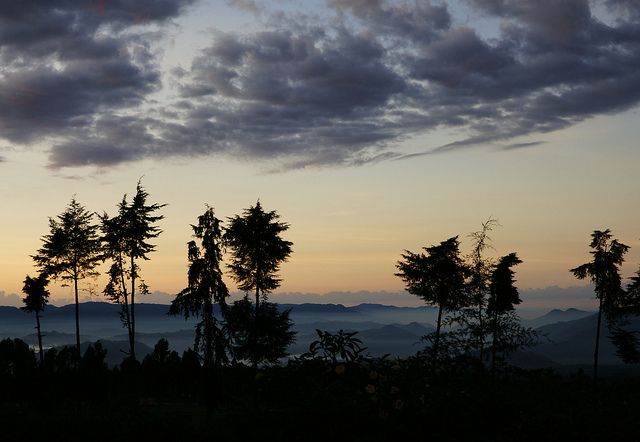 Imagine seeing a breath-taking panorama of mountains surrounded by Rwanda’s famous floating mists. It’s like being in heaven, only you’re alive and holding a camera to capture that priceless moment forever. It’s clean, and virtually safe. Tourists are warmly welcomed in the country, so long as you don’t stray from the capital, Kigali after dark, or visit certain areas in the border due to the presence of Hutu paramilitary. So much to see, so much to do. One of the top reasons to visit Rwanda is because there’s just so much to see in the country. Aside from the breathtaking panorama of the mountains, there’s a great diversity of landscapes, such as extinct volcanoes, rivers, lakes and savannahs teeming with wildlife. Lake Kivu is your best bet for a relaxing weekend, or a week if you’re looking forward to a lazy holiday in Rwanda. But with so much to see in the country, why waste a week lounging by the lake side? Because there’s more to Rwanda than silverback gorillas. Rwanda’s varied landscapes are teeming with life. Wildlife that is, from the mountains, to the rainforests, to the savannahs. Visit their national parks and nature reserves to meet Rwanda’s other underrated residents such as elephants, buffaloes, giraffes, hippos, and a wide variety of bird species with some of the most beautiful plumages you’ll ever see. History. The memory of the Rwanda genocide still lingers heavily especially among its local populace and some are still grieving for the loss of their loved ones due to one of the world’s worst tragedies. Memorials, such as the Genocide Memorial in Kigali, the Nymata Genocide Memorial and the Ntarama Genocide Memorial provide a great insight to Rwanda’s worst moments in history. The relics and evidences such as the victims’ clothing piled on benches and bullet-riddled roofs are a haunting and moving reminder of the genocide.